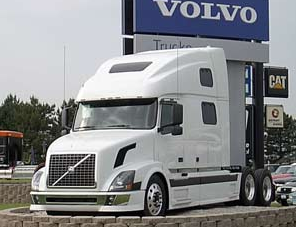 The United Auto Workers local in Dublin accepted major concessions in a new contract with Volvo Trucks North America last year after the company threatened to move jobs to Mexico. Then the union dealt with 900 layoffs months later. Now top union leaders face a challenge from within. Two of the plant’s 12 bargaining committee members have filed a federal complaint that alleges UAW Local 2069 President Bill Burton and Bargaining Chairman Lee Thomas agreed to mandatory overtime and the end of a 15-minute paid cleanup time without putting the concessions to a membership vote. Burton and Thomas made the changes in May despite a rejection by the shop stewards who form the union’s bargaining committee, according to Thomas F. White and Jim Houchins, both 12-year plant veterans. Only 30 percent of the plant’s union workers know about the changes, White said.